If you’re looking for a composite door solution that will deliver on expectations, Capstone composite door slabs from ODL Europe are the answer. The doors have been tried and tested in the UK market for 15 years and are covered by a warranty of up to 25 years. 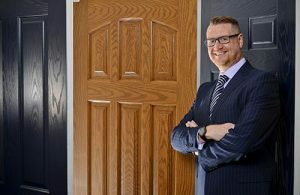 Nathan Barr, Managing Director of ODL Europe, says: “Our Capstone door slabs deliver uncompromising standards of design, build and quality that stand the test of time. Why would you select anything less?” ODL Europe is the exclusive UK partner of Capstone Engineering and Capstone composite doors come with an impressive set of credentials. They are PAS24:2016 accredited as standard and deliver exceptional thermal performance with typical U values of 0.9 W/m2K for solid doors and 1.4 W/m2K for half glazed doors. There are numerous designs and colours available. All feature a 2mm high density pigmented woodgrain GRP skin that delivers durability and security for long-lasting good looks. Capstone composite doors also deliver a wealth of benefits to fabricators and installers. They are manufactured with a 100% pure PVC composite rail which gives them excellent screw retention when compared to many competitors’ products which are only 70% PVC and means there is no need for fillers or edge banding, making them very cost-effective. Plus, because ODL Europe is also home to the industry-leading TriSYS cassette, which is compatible with the Capstone range, the company is a one-stop shop for an outstanding composite door and glazing solution. The quality and value of the Capstone door slab and the TriSYS cassette set ODL Europe apart, but that’s just the start. ODL Europe customers also enjoy exceptional service. The company continually invests in its manufacturing facilities and holds impressive stock levels at is Bootle headquarters. 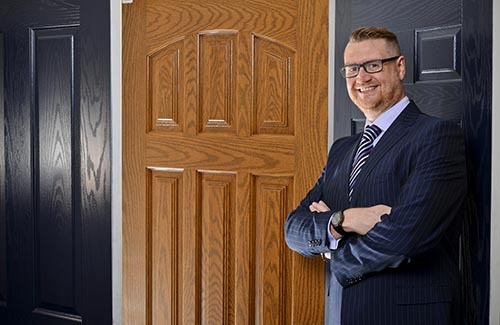 It means ODL Europe is able to deliver on time every time, giving customers reassuring reliability and helping to maximise the opportunities in the booming composite door market. Capstone composite doors are available through Aperture Solutions, a division of ODL Europe. For more information, visit www.aperturesolutions.co.uk.